Rent A Stork to announce your child, grandchild, neice or nephew. For $29.99 we will place our stork in the newborn's front yard. We will keep the stork on site for a minimum of 7-10 days. All you need to do is supply us with the particulars of the newborn. We will be responsible for delivery and pick up of the stork. 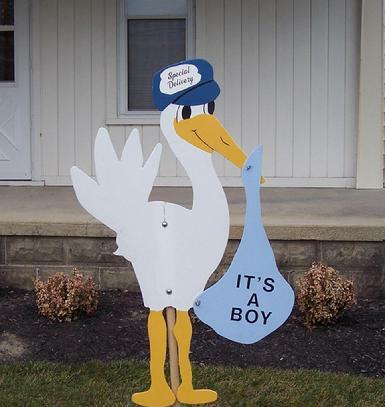 We will even include a card to allow the family of the newborn to know who sent the Rental Stork.